Earn $28.97 in Rewards credit (2897 points) What's This? 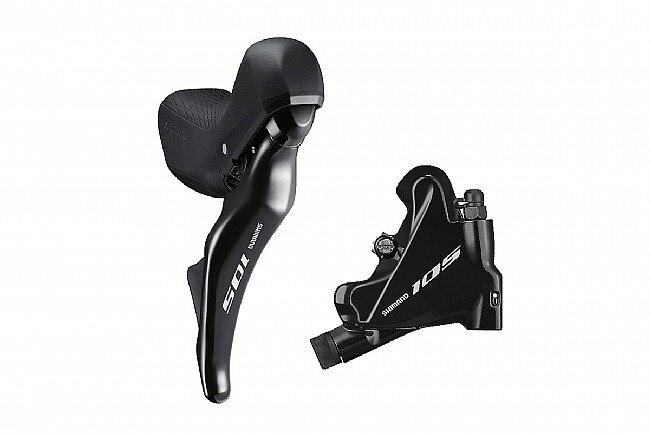 Shimano's 105 ST-R7025 Shifter with BR-R7070 Disc Brake includes a Hydraulic Disc Brake Dual Control Lever and a compatible Hydraulic Disc Brake Caliper. The shifter is optimized for smaller hands, featuring a smaller, repositioned lever that's easier to control. The internal shifting unit has been redesigned for smooth, effortless one finger shifts. The disc brake caliper offers excellent heat dissipation and greater control in all conditions. It's designed for simple set up and maintenance, with an easy and clean bleeding system. Clamp band inner diameter: 23.8-24.2. Caliper fixing bolt tool size: 4mm.